We’ll have tours of our sanctuary after the service. And, as First Church in Albany has each Sunday for 376 years, we will worship together. 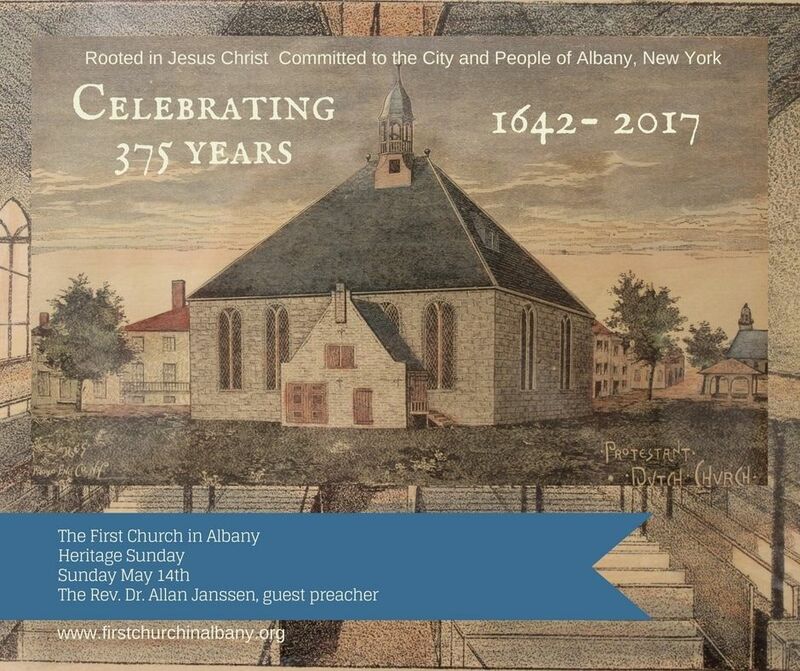 Heritage Tour May 12 at 6 pm In its 375th anniversary year, First Church in Albany will be holding a special Heritage Tour hosted by several of the church historians. On display will be the etching of old Nijmegen and a series of Delft tiles commemorating the liberation of the Netherlands. Visitors are welcome to a Heritage Tour of the church starting at 6:00 p.m. ​For information contact First Church at 463-4449, www.firstchurchinalbany.org. Please share all the great events going on at the First Church during our 375 Anniversary Year!